Online nifty trading looked positive start today in early morning, nifty increase up to 34 point now traded at 5900 level, energy stock infra bank share, metal stock looked positive as well as IT stock looked under pressure today. Bank nifty trend: bank nifty increase0. 90% today or 100 point above, hdfc union bank, bank of baroda increase early trading. Whatever to do trading online in nifty today, as our suggestion energy stock looked good for trading. Jindal steel, bpcl, gail, heromotocorp, hdfc bank , union bank increase in early morning 3.7% to 2.1%. 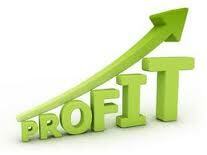 Get every time Free share and Commodity trading tips calls.